Maruti Suzuki India has been making modest sales despite of the overall slowdown in the market. The company has been being able to attract the customer's attention with a lot of updates to its wide range of cars. Maruti Wagon R is a successful model from the Indian auto major with average sales of 10000 units per month. 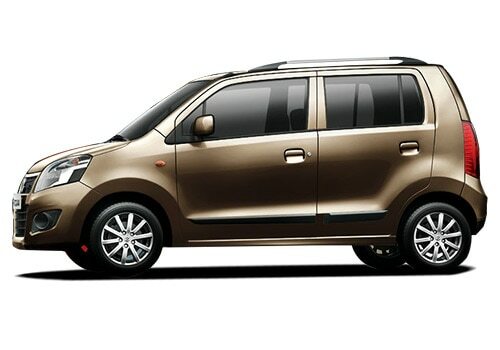 Stingray is a premium version of the Maruti Wagon R and has been available in Japan since 2007. The company has timed the entry of stingray into India to boost the sales and also provide competition to the expected launch of the new i10 model. It is expected to be available during the festive season in the month of October to November this year. The current Maruti Wagon R price quoted at showrooms for the basic model is 3.62 lakh. It is expected that the new model will be available for the buyers at an additional price of 25,000 to 30,000 INR.The major difference between the existing model and the new version is in its looks. Maruti Wagon R Pictures of the stingray model show a quite different and the sporty vehicle which will certainly help to boost its appeal among entry level car buyers. Both the front and rear features many changes. The headlamps are much slimmer and the vehicle sports projector type headlights. The front bumper with the big airdam contrasts the slim and trendy chrome grill. The rear of the car carries the new Wagon R stingray logo in chrome. Also, the rear tail lamps are much slimmer and fitted with clear lens. Interiors are also expected to undergo some changes to provide more convenience features. It is expected that Maruti Wagon R features related to the engine and performance will not be modified for the stingray model. The Japanese variant sports a much lower 660 cc engine which does not suit the Indian market. It is expected that the Indian version will feature the same K series engine that is currently used in the existing model and also in other Maruti Cars like A-star and Alto K10. The 1 litre three cylinder KB 10 engine will be capable of churning out a maximum power of 68 PS and a maximum torque of 90 Nm. This all aluminium engine is extremely light and meets the BSIV emission norms. Even though, the Japanese model sports an automatic gear box, the Indian model is expected to feature a five speed transmission system. The vehicle provides a respectable mileage of 14.2 kmpl in the city and 18.9 kmpl in the highways. Maruti Suzuki also launches Ritz @ BuzZ-Only Limited Edition.